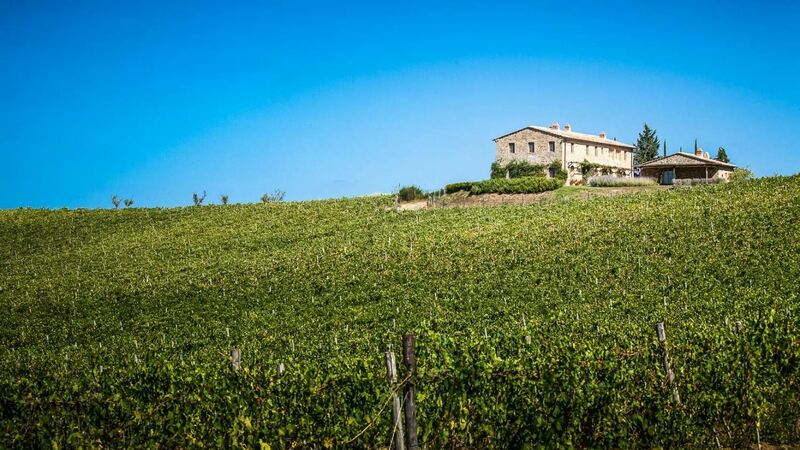 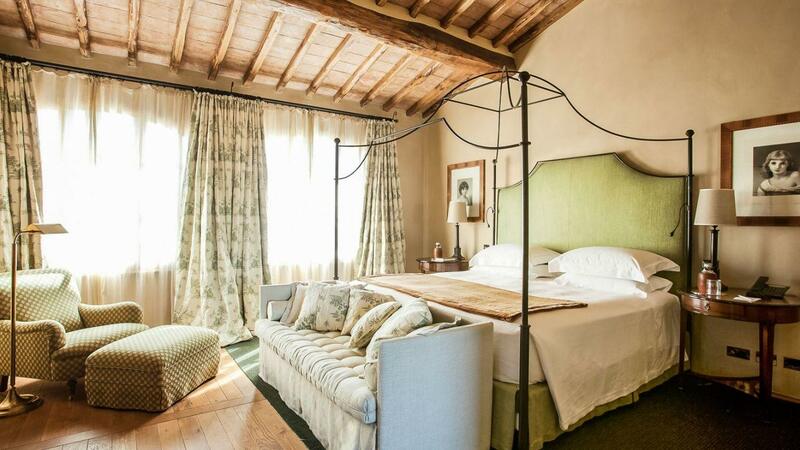 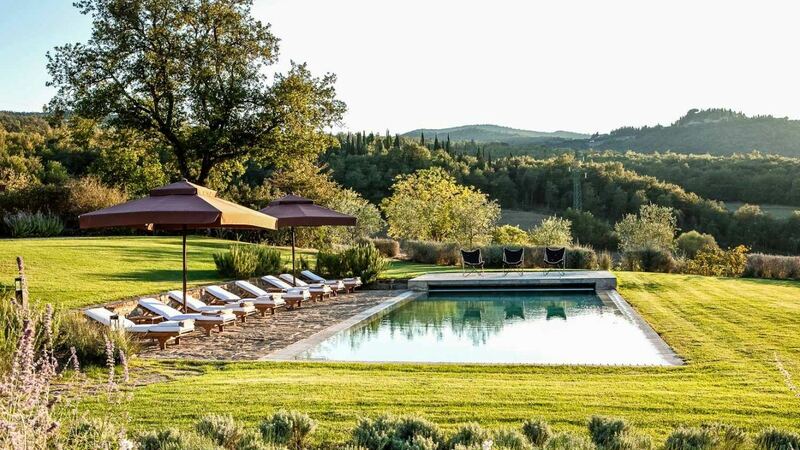 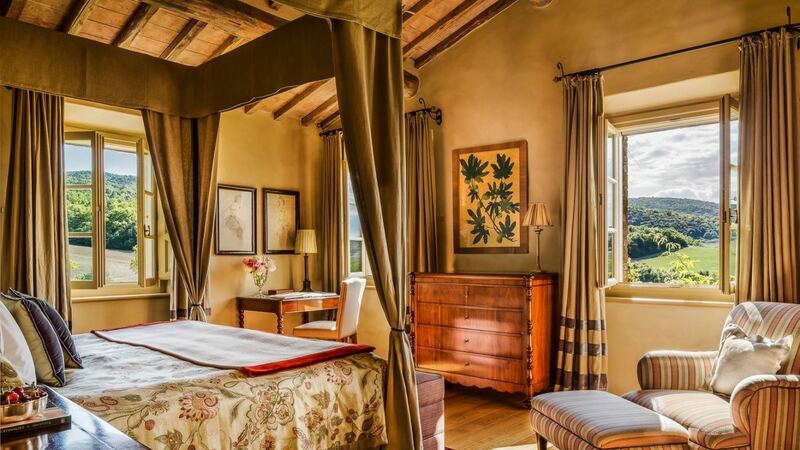 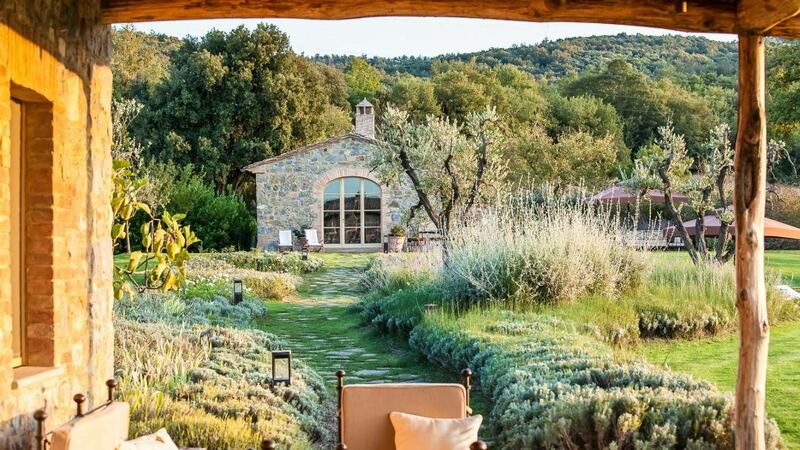 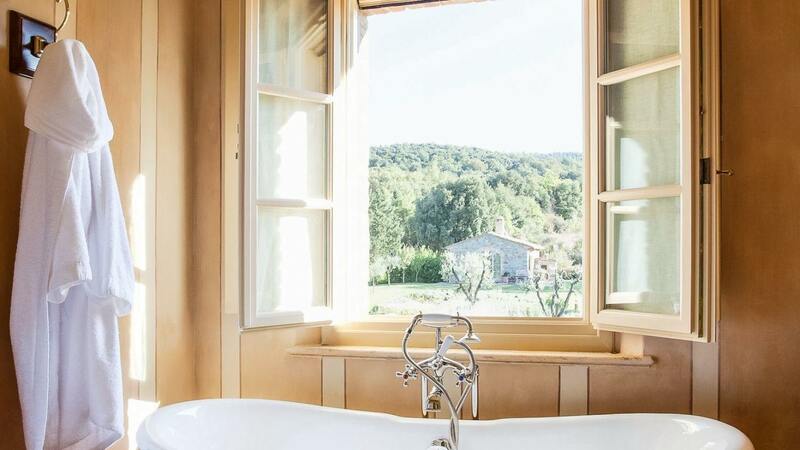 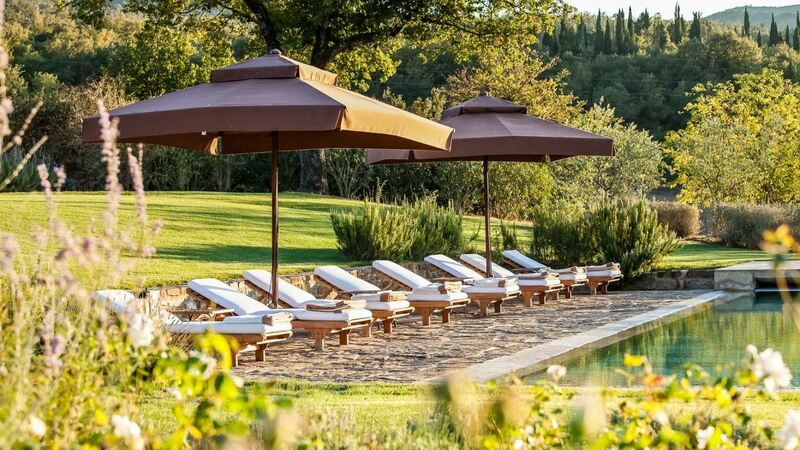 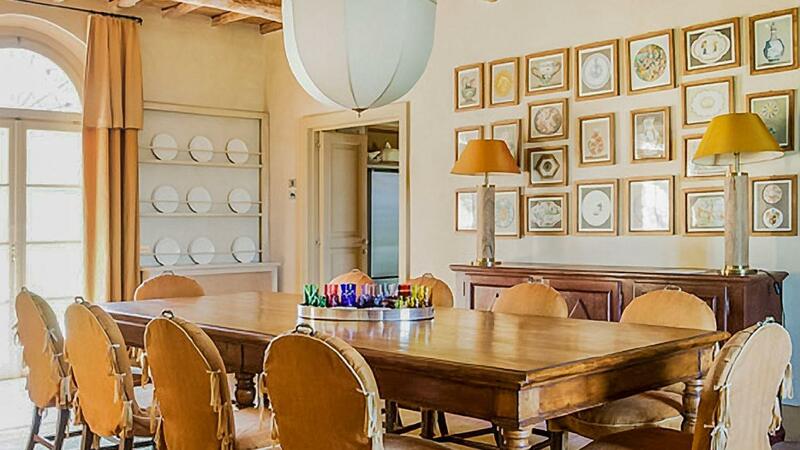 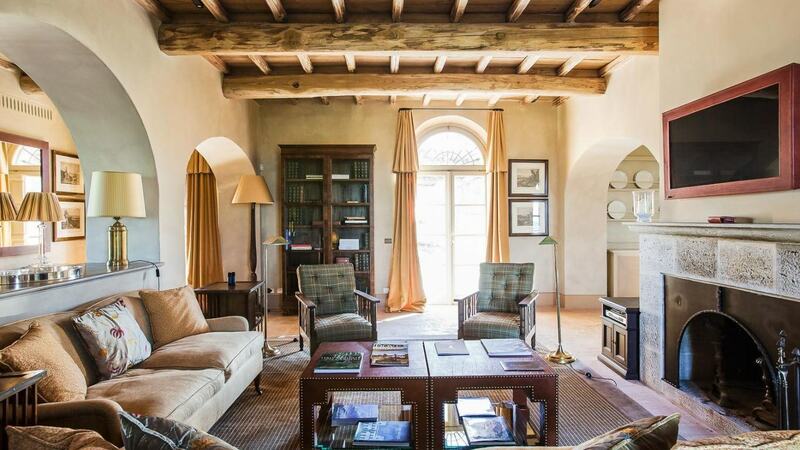 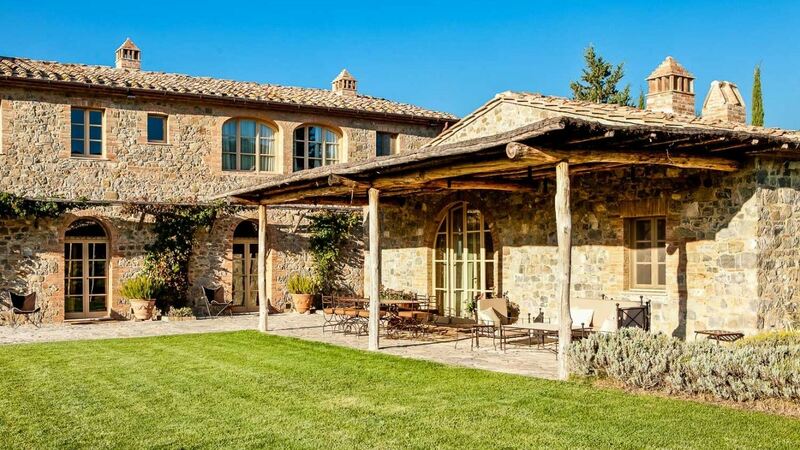 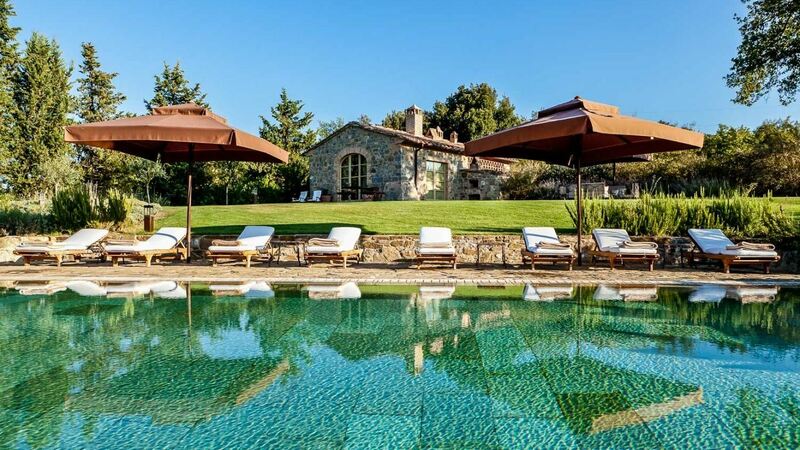 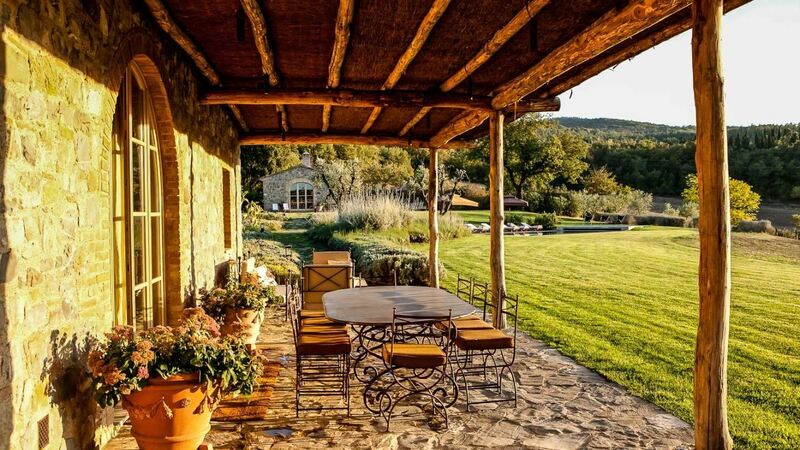 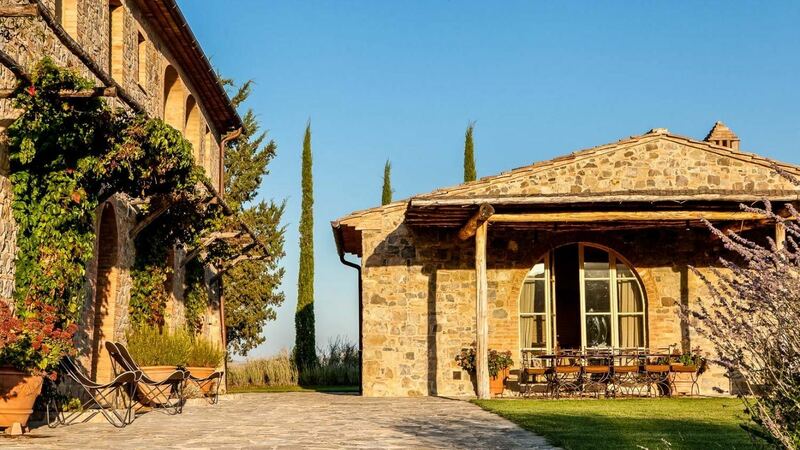 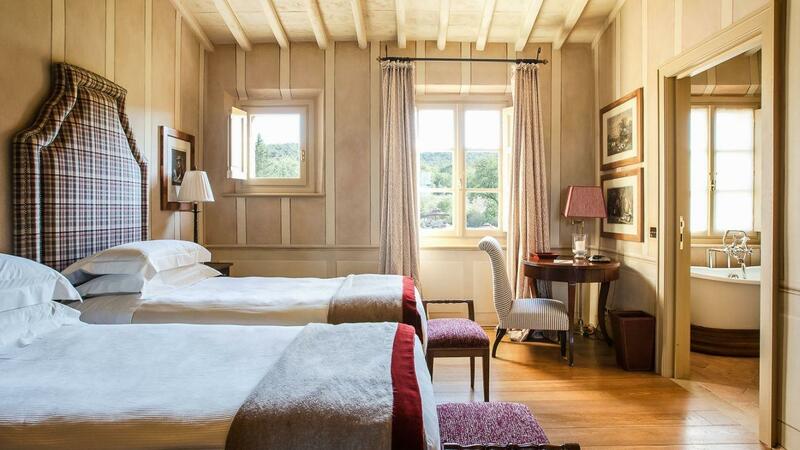 Villa Falcia is traditional Tuscan farmhouse located on the Rosewood Castiglion del Bosco estate, there are vineyards, trails and even a private golf course just minutes away. 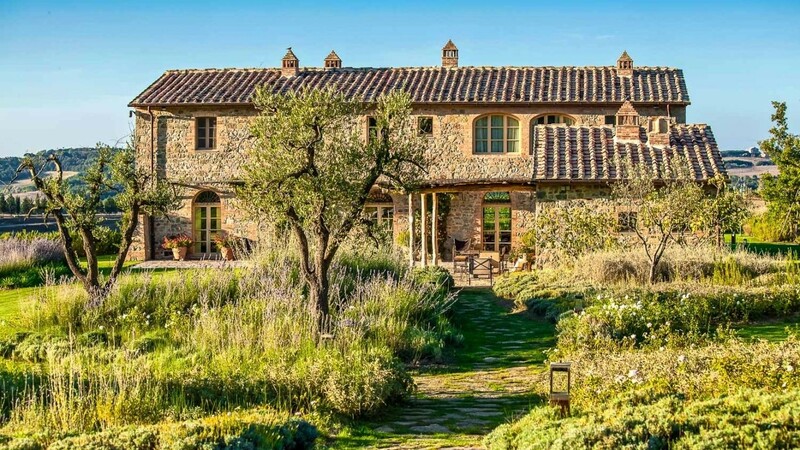 Off the estate, it’s only 4 miles to restaurants and bars, 2 miles to Il Borgo and about 7 miles to the town of Montalcino. 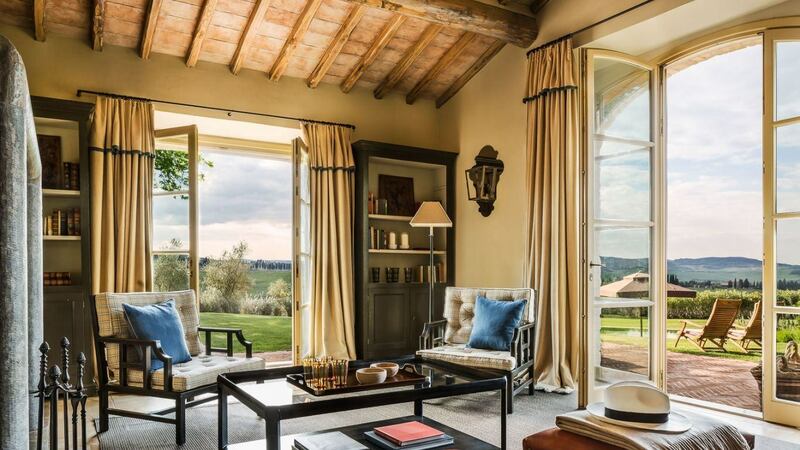 Living rooms in the main house and pool house are outfitted in warm, neutral tones, with cheeky touches like plaid upholstery and a nailhead-trimmed coffee table. 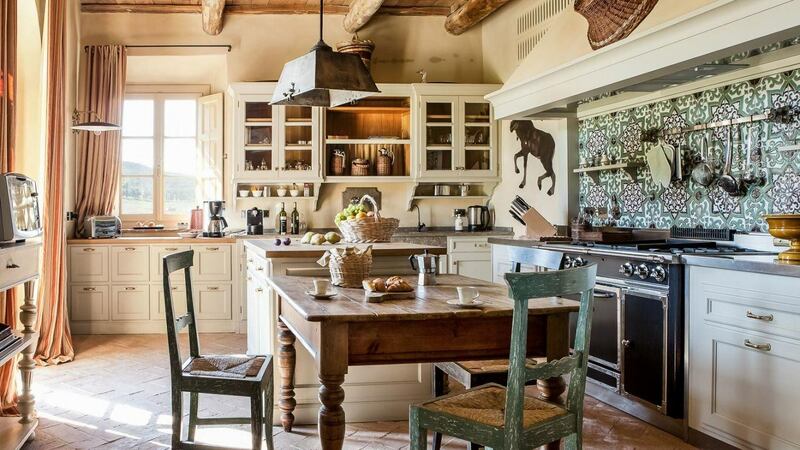 Gather everyone in the spacious formal dining room or around the farmhouse-style table in the fully equipped gourmet kitchen. 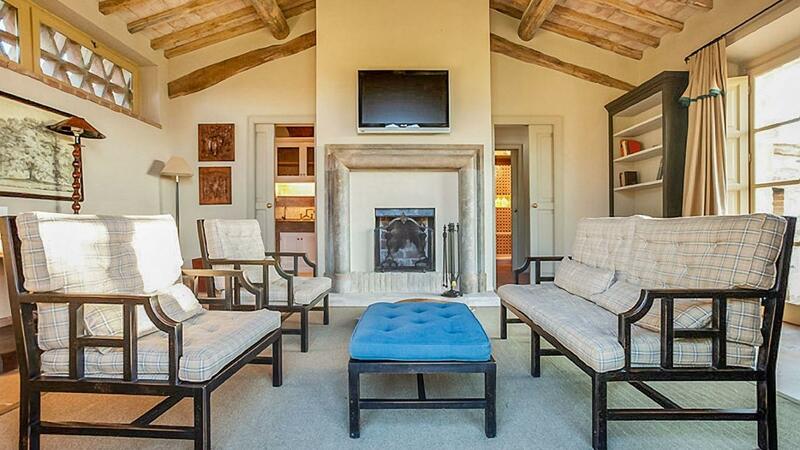 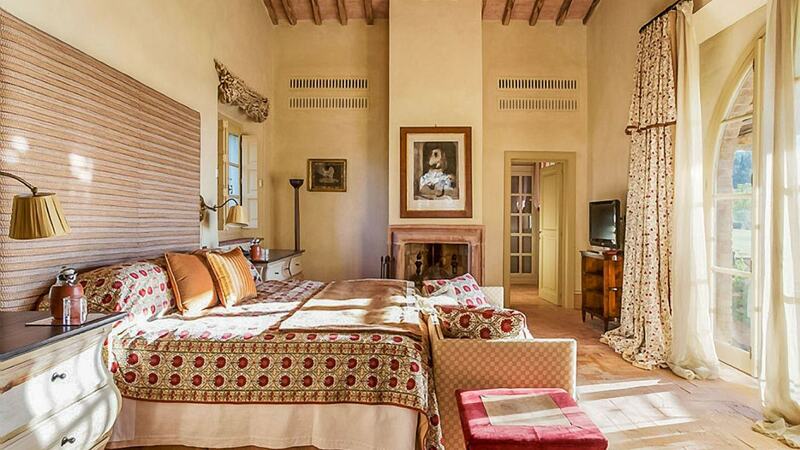 Villa Falcia has three bedrooms in its main house and one bedroom in its guest house. 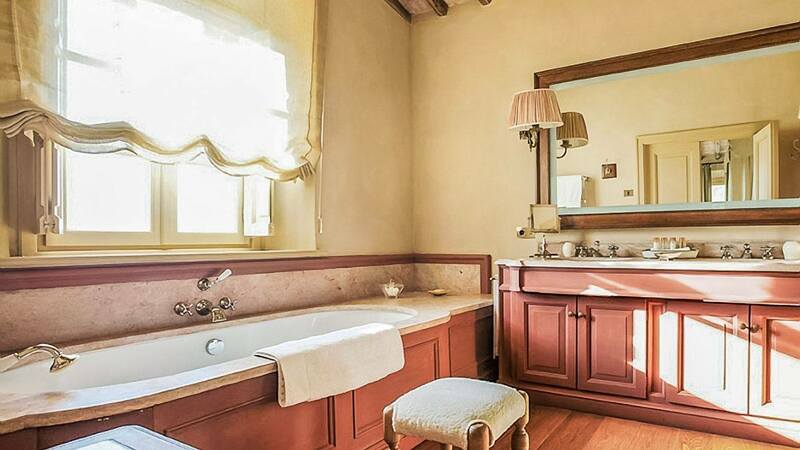 Each bedroom has an en-suite bathroom and flat-screen TV. 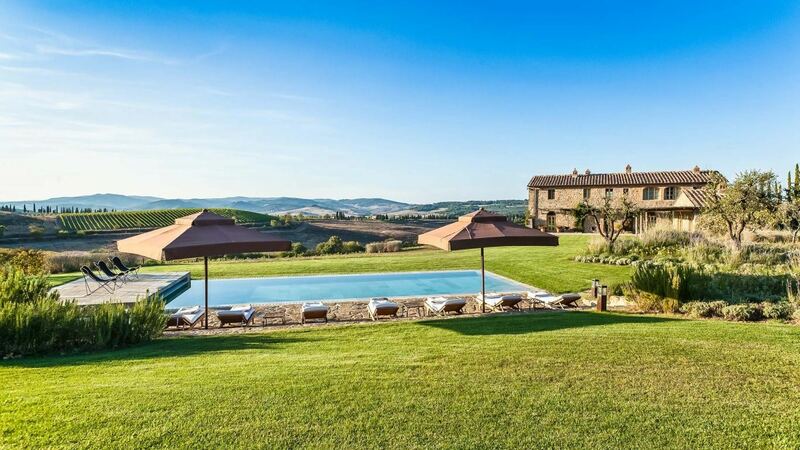 Surrounded by vineyards, rolling hills and a lush green lawn with a pool, the villa has views for miles. 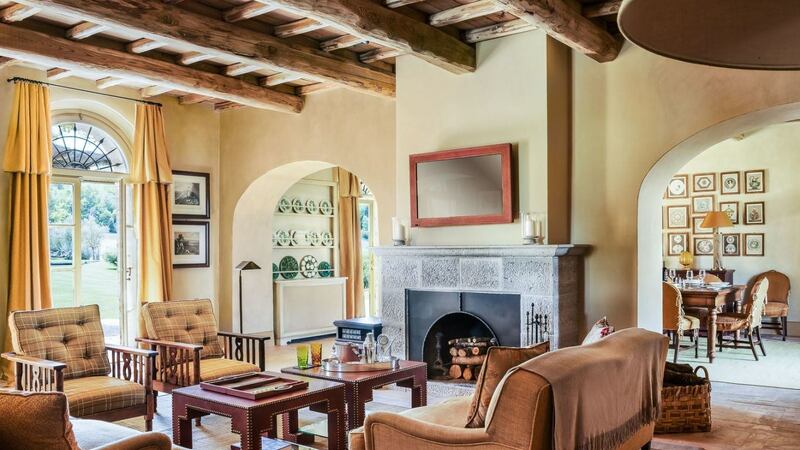 Enjoy the scenery from the heated pool and pool house, a lounge on the pool deck, a shady sitting area just off the house, or the covered outdoor dining area.